This might be their best looking video so far. Kevin never looked as good before. Also, I like the little tapping dance. I started watching the fancams from SHINee Arena Tour in Japan because I wanted to see the weird little movie they’d done. And although the movie itself was awesome, what made the deepest impression was rather the fangirls in the background. Their weeping, groans, desperate crying out for their favourite members and general sounds of complete dedication made me both creeped out and jealous. They sound like they are completely losing themselves in a way that feels so far away from me and my way of life. But when I watch the fancam as if I were standing in the audience, I feel like I come just a little bit closer to seeing the world through their eyes. Are those the eyes (and the sounds) of a real fangirl? I obviously think a lot about fangirlism, being a fan of a real, living person, and being a fan of the persona a real, living person adopts as an idol. I think about life choices, secrets and admiration. I think about reality, day dreaming and what desire or attraction means. I think about what it would be for me to actually face an idol. 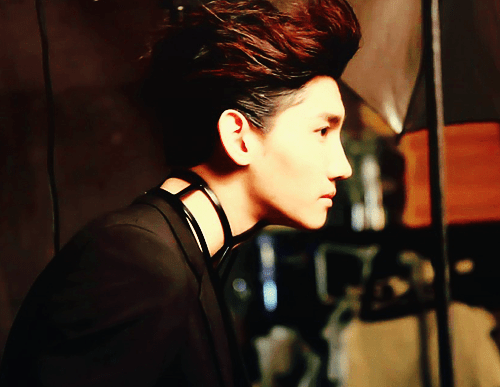 One of my favourite idols all time is Shim Changmin of DBSK. I watched this video yesterday, and thought about how Changmin’s also one of the most beautiful people I know of. But I have always had problems with that. One reason for that is that he is so much of a guy; there isn’t really any (to me) visible ambiguosity or blurred lines when it comes to that. Another is that though he – almost ten years after debuting – is almost perfectly trained at being an idol, I don’t think he’s very comfortable with it. He seems, in many ways, to actually wish for something else than his idol life. I have, at a couple of times, tried to explain the unease I feel at the thought of meeting him as a fan meets an idol as something that comes of him being to real to me for that. But tonight, when I rode my bike home after having spent an hour or so with two people who have actually seen him in person and could definitely tell me that it really was like meeting a star, I realized that it’s not about him being real to me. No. That’s not the problem. The problem is that I actually wished he were, and there is something in that, that makes me very vulnerable or maybe even slightly pathetic, and something I’m very, very uncomfortable with. 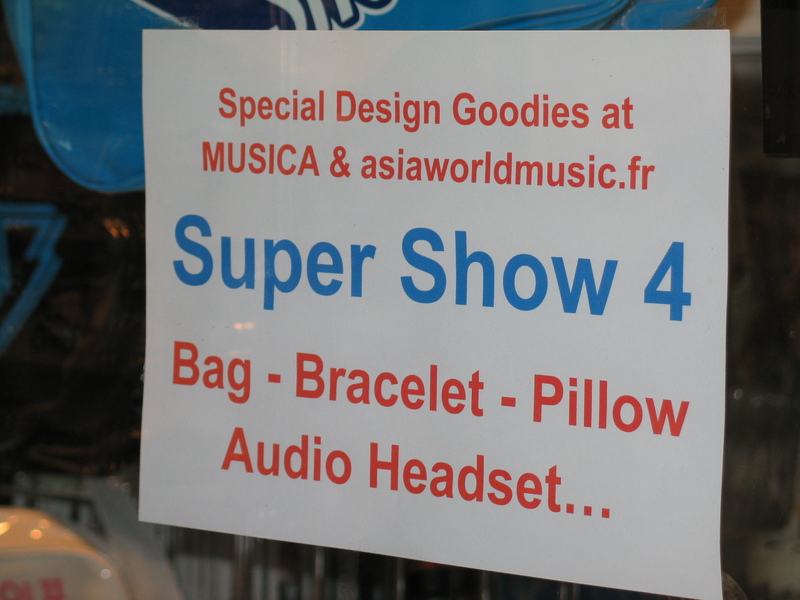 The Super Show 4 Paris experience. As it was announced that Super Junior would hold their first concert ever in Europe on April 6 2012, it was also quite soon decided that I would be attending. I have written this so many times before and will probably keep on repeating: Super Junior was the reason for me to become, and also a reason to remain a Kpop addict. Since then, I’ve been so extremly nervous of how this concert would turn out, and eventually I had to get angry with myself for becoming quite the imbecile of fandom. But, never trust an idol beforehand is a motto of mine. Do it afterwards when you really know how great it turned out. The epic evening starts as this boyband of nine men are introduced with a screened hd-music video, showing them half-naked swimming under water, growing wings, rising to the sky over Manhattan, and then land ready for performing their Super Show. It is unbelievably beautifully done and in some ways, extremely Kpop. Very much what the audience is craving for. The concert then really kicks off when Superman, a track from the autumn of 2011 is blasted out over the arena as the members rise, backlighted in red simultaneously out of the floor. For me, this dramatic track has taken the place of a lament over Super Junior and the groups past, not always so cheerful history and it ads something really bombastic, a serious side and an aire of sadness to the glimmering show about to happen. For everyone who can count this is at least partly relevant, as they could have been 13 members on stage. Many of us will remember and miss those of different reasons not present this evening. What remains are nine members, on a moving stage that slides out in the audience while Superman continues and who just the same are about to take their group to the very top of fame. And as Super Junior continue the evening with Opera, another newer track, there is little room and time for gloom and you are taken back to the fact that Super Junior there and now at Zenith de Paris, is more popular then ever before. 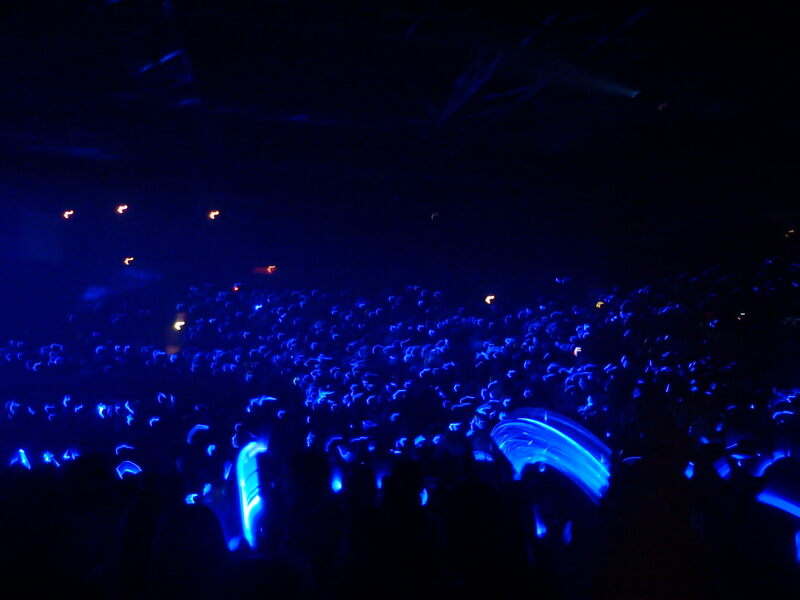 The arena is lit by thousands of blue light sticks, the official colour of this group and there are no mistaking why people are there. As Super Junior has been at the very center of my attention for quite a few years now, I was hoping for and expecting a couple of things from this concert, and I believe I got most of them this Friday evening in Paris. First of all, the fact that I ever got the chance to witness Super Junior do a live performance is still a bit hard for me to grasp. I have followed them closely since 2009 and watched many of their concert performances on YouTube, getting to know their type of shows and longing to see it live. When all of a sudden the members run out in the audience (They keep doing this over and over through out the show) and you have them only a couple of metres away from your seating you finally begin to understand that this is happening. Second, what makes a Super Show different from many other concerts is to what extent the members of this group play out their dorky personas on stage. To watch a Super Show is not merely a concert with peformances of their top tracks, but also a cavalcade of stupid costumes, non coreography, jokes and many moments of spontanious confusion as they make the audience fall in love with Super Junior. A recipe that has proved to work more then well with the fans. As the concert closes in on four hours we have been able to witness Super Juni0r dressed among others as Steve Jobs, Britney Spears, Hulk Hogan, Chuckie, Marilyn Monroe and the entire Von Trapp family. To see this makes it worth all the money and time spent. Every member as always, except this time Shindong(!) of some weird reason has their own solo to show of their individual talents. Mostly remakes of international English pop music. Strange examples as Kyuhyun with a version of Isn’t She Lovely and Leeteuk with SHE. The ones that really stands out is lead singer Yesung with his incredible voice and smooth ballad sung in Korean and Ryeowoks upbeat Moves Like Jagger. All of this is done in close interaction with their audience. Super Junior is highly aknowledged for these abilities and it is of huge importance to their fanbase. Through out the show we have also been able to see modern classics, tracks such as Pyjama Party, Don’t Don, A Man in Love, Mr.Simple, Superman and Sorry Sorry being performed. For those of you reading this not familiar with the tracks listed it will be hard to understand the deep pop cultural impact some of them have had on East Asia and other parts of the world over the last couple of years. But these are facts that a simple google search can verify. Super Junior is a super group, not only to it’s scale but also to the extent they are known and listened to at the moment. The single release from the autumn of 2011, Mr.Simple, has just achieved more then 40 million views on YouTube, which must be said is quite well done by a track sung in Korean. Who would have even dared to guess back in 2009 that I, that we, would have reached this point of fandom? If Johanna, my companion to this concert would have told me back then that we would buy tickets to a Kpop concert in Paris, travel all the way there and think of it as something of utmost importance or that there would be a fanbase this big in Europe, I would probably see that it could happen, but not really think that it some day would. The fact that it does happen and continuosly seem to do so in Paris also deserves to be mentioned. France seems to have become the base for Kpop in Europe, the first stop for any Korean artist embarking on the European market. 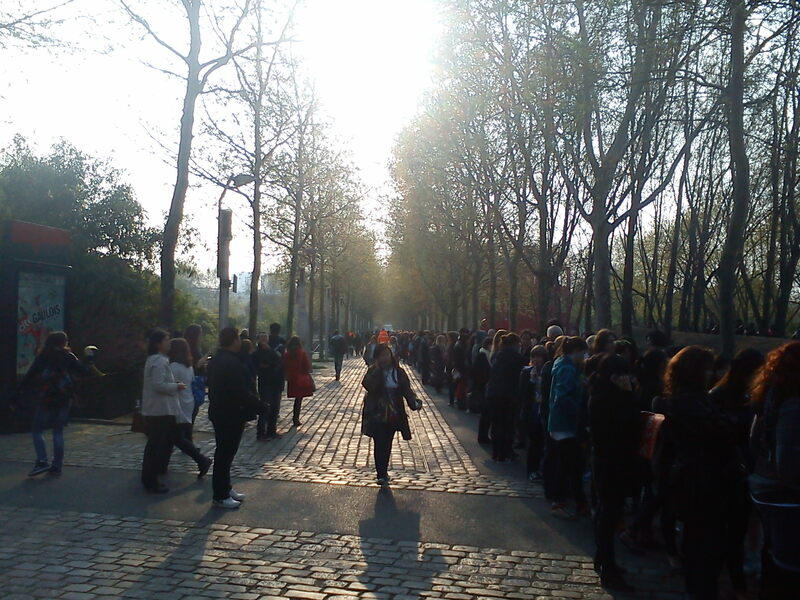 Paris have the biggest Korean population in Europe and there are more then one shop to buy Kpop albums and merch in. Kpop groups are also doing their best to please this European market, but as they do so the confusion of languages emerge. Europe is in a Korean way of thinking probably just as homogenous as East Asia is in a European perspective. Therefore much of the speaking parts in this concert is simultaneously translated, into French. 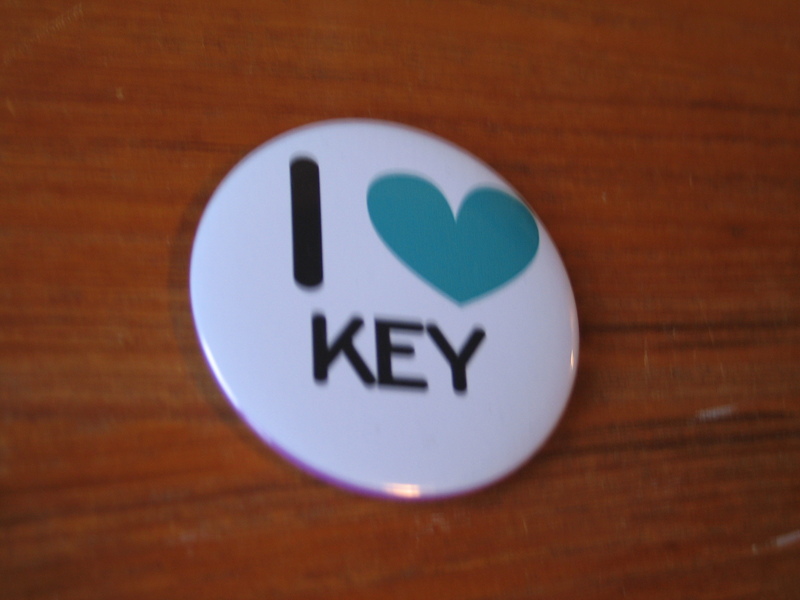 As a service for the European fanbase and for the interaction during the show. Understandable in some aspects, but on the other hand a dilemma since probably almost half of the arena are unable to understand what is going on. Because even if fifty percent of the audience in the arena are of French origin, the rest is not. My own French is quite rusty and some of the magialc interaction with the group on stage is of this reason lost. As two girls are invited on to the stage and they are given instructions in french by the interpreter. The problem is that one of the girls is not French at all and does not understand a word until Siwon repeats them whispering in English in her ear. When time comes to congratulate Siwon and Eunhyuk on their respective birthdays, the song though is not in French but the English standard version of Happy Birthday. Also understandable for a group from South Korea, on of the most amercanized and westernized countries in the world. The members of Super Junior have all practised hard learning greetings in French, a nice gesture but again it goes a bit wrong since so many people present are not French at all. It is hard to make comparision to other big acts, lets say from America, but really, English will probably be a more useful language for Kpop groups in Europe since the fans come from all over. The intentions though all the best. One thing that comes to mind as critique has got to do with choices. The choices of songs to perform. This is a group with five albums and dozens of mini albums to pick material from, but who picks the songs? The third and magic album Sorry Sorry is only represented with one track, Sorry Sorry itself which is saved to the encore performance, something that leaves me with a tiny bit of a question mark in my head. I’m fully aware that the latest album is the more important album to perform, but looking at it in perspective of quality of music they clearly could have done other choices for this tour. To miss out on performing top tracks like It’s You and No Other is in my eyes quite unforgivable. The quality of music is, on the other hand only one of many aspects as you attend the a concert such as Super Show, and it is impossible for me to leave Zenith de Paris with out thinking that I’ve just been a part of historical magic. 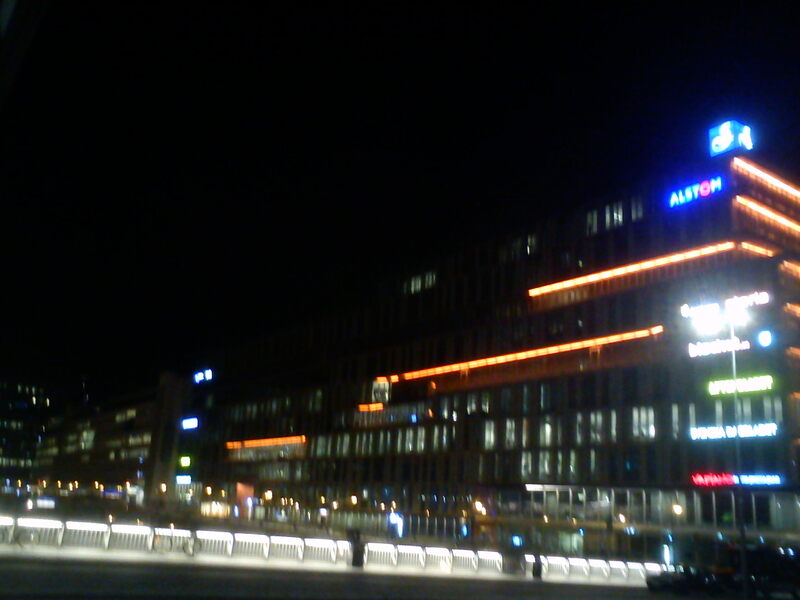 You are currently viewing the archives for April, 2012 at The Future is Idol.